All workshops are at Bluewater Organic Distilling on the Everett Waterfront. What turns a friendship into a sisterhood? Stretch your body and your skills and learn fun and engaging strategies to create life long friendships in sisterhood. Dive deep and discover what sisterhood means to you and discover ways to cultivate powerful sisterhood relationships in your life. Celebrate the strengths we help develop in each other and relish in the joy of nonjudgmental, open minded, and heart-centered sisterhood. 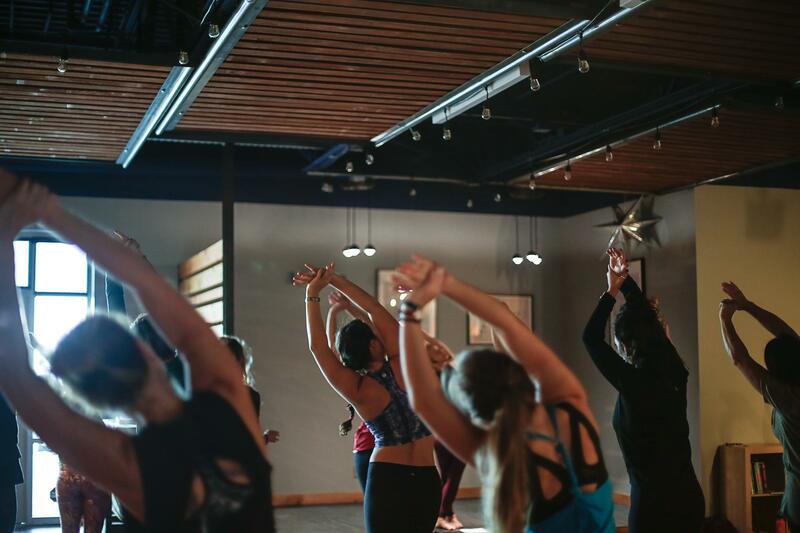 Join Authentic Gatherings for a powerful day retreat at Bluewater Distillery and indulge in Yogamosa , Brunch, Life Coaching - and a sweet Sisterhood Craft to take home. All three founders of AG will be offering strategies for finding your unique intention for 2019. 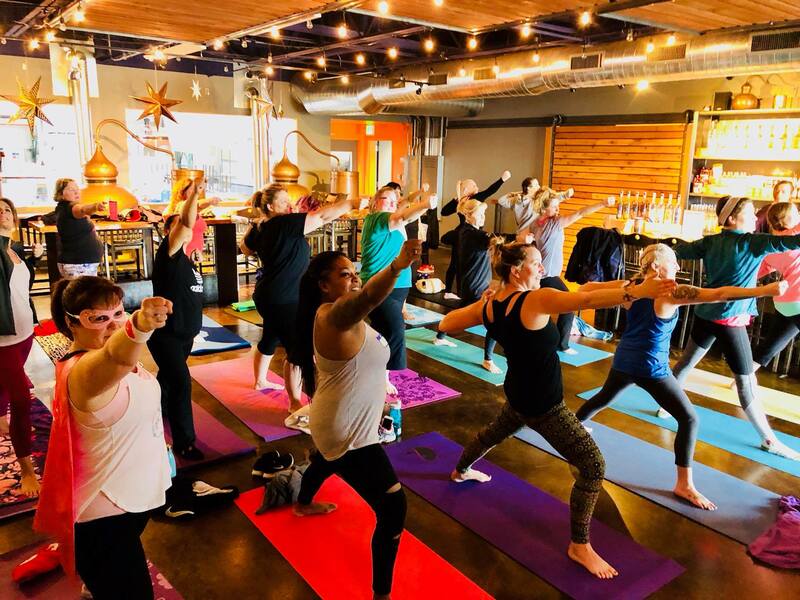 Carly Norwood of Catalyst Yoga will begin our time with strong and intentional yoga. Manjeet Basran Russell of Infinite Balance Life Coaching will guide us through her process to create authentic friendships. Erin Matthews of Hydrology Stand Up Paddle will teach an art project to take home. $80 + tax for yoga, coaching, art project and supplies, lunch, and cocktail. Carly and Manjeet believe that we all have a superpower! What's yours? Discover your natural strengths while stretching and posing as superheroes. This fun workshop zones in on your natural strengths and celebrates the superhero within. We will begin with an hour of powerfully fun superhero-themed yoga set to an epic playlist, take a break for a gorgeous cocktail and light brunch, and then Manjeet will guide us through an hour-long workshop to discover and celebrate your superpower. This is sure to be a powerful and fun event! 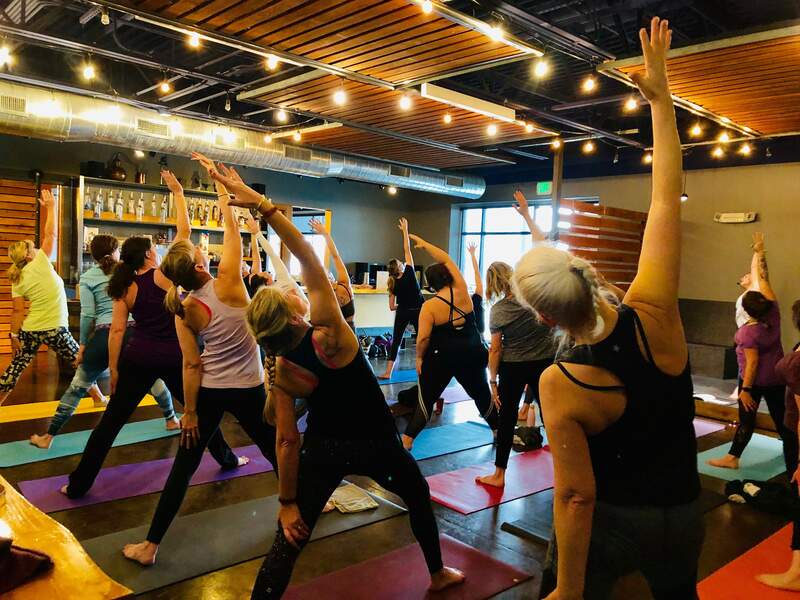 $45 total for an hour of coaching, yoga, a cocktail, and a light brunch. Register early. These workshops sell out very quickly! June 2019. More details to come. It's time for the moms to go outside and play! 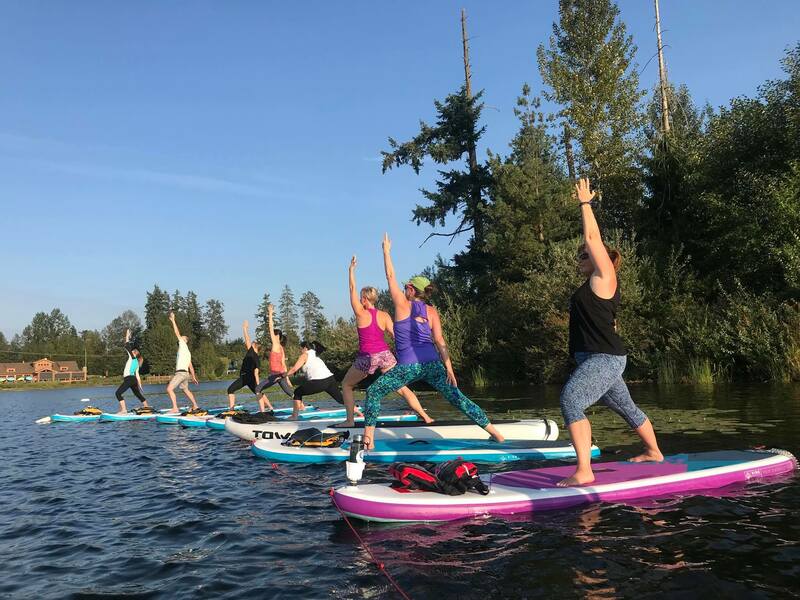 At our 5th Annual Mom's Day Out Paddleboard Lesson & SUP Yoga event Erin Matthews of Hydrology Stand Up Paddle will teach you the basics of stand up paddling or help you refine your skills, if this isn't your first rodeo. Carly Hayden of Carly Hayden - Catalyst Yoga LLC will guide you through a SUP yoga class that will leave you floating. More info, and RSVP for updates. Special events can be rescheduled or refunded with at least a 48 hour notice.